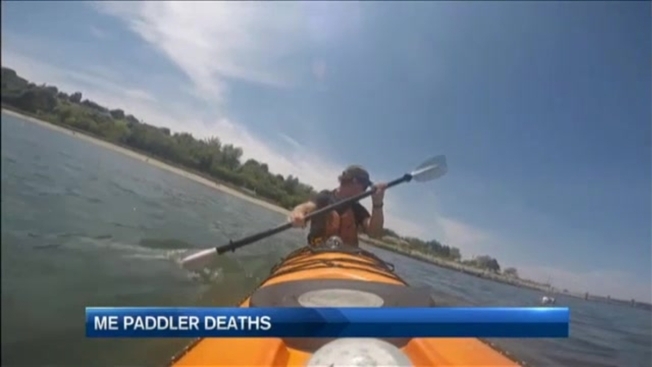 Two people died while paddle boarding on a New Hampshire lake on Saturday. New Hampshire Marine Patrol was notified around 5 p.m. Saturday of subjects in the water on Everett Lake in Weare. Initial reports indicated that an adult male and female had been paddle boarding on separate boards and were in the water in distress. Weare Police and Fire were first on scene. A Weare police officer and firefighter were first in the water, and were able to find the female victim and pull her to shore. She was transported to Concord Hospital, where she later died. Emergency personnel continued to search the area, and the male victim was ultimately recovered by divers in about 12 feet of water. Neither paddle boarder had a personal flotation device with them. The victims were identified Tuesday as Mary Horgan and Austin Dean, both 59 and from Merrimack. The incident is under investigation by the New Hampshire State Police Division of Marine Patrol.